Asana helps team coordinate work on big projects by breaking them down into tasks and assigning responsibilities and due dates. The app provides a central hub where everyone on the team can see what they and others have to do, what's been done, what may be falling behind, and what still needs planning. Asana's functionality and design revolve around teams using the tool collaboratively. So when new users try to sign up, Asana ensures they understand how to get the most value from the tool. 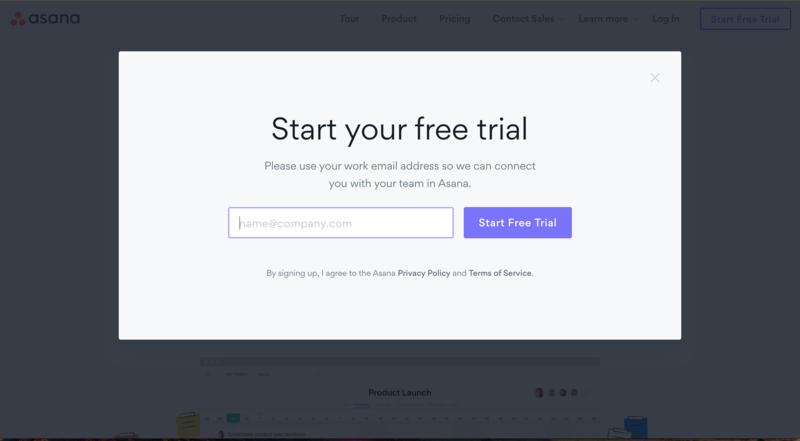 Asana's message on its homepage and its “Start Free Trial” page makes one thing clear to new users: Asana is a tool that helps you get work done with your team. 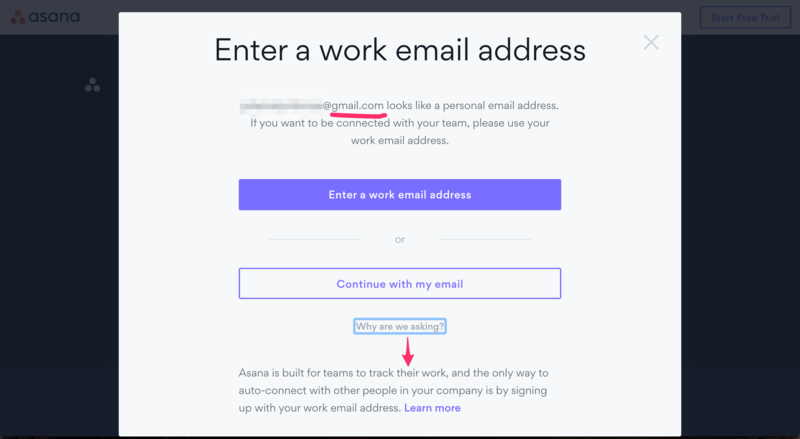 Even the placeholder text in the signup box suggests an email address in the format of “name@company.com.” When a new user gives a personal email (such as Gmail), Asana gives the user one final chance to switch to a work email, explaining why it's better. Users can get more value from Asana, and will therefore be more likely to keep using it, when they use it with a team at work rather than on their own.